The ten commandments are a topic everyone knows about- even those who’ve never stepped inside a church building. Unfortunately, familiarity can often lead to an assumption that we know all about the topic – and we may not be right! Starting this week, we are going to take a deep look at the tablets given to Moses on Mt. Sinai that displayed the first ten laws God gave to the Israelites. Before we jump into the laws themselves, however, let’s look at the situation the Israelites were in, immediately before God began dictating the ten commandments (and the rest of His law) to Israel. 1.In this chapter, God has led Israel to the wilderness of Sinai, where they encamp themselves before Mount Sinai. While the whole nation is in one place, God only communicates His law to one person – Moses – who acts as a go-between. Why not simply address the whole nation at once? 2.Why does God say what he does in verses 3-6? 3.Why would the Israelites all need to be consecrated if the only going near the presence of the Lord was Moses? 1.The pronouncement of the Law was clearly a very important time for Israel. What are some things that we treat with the same reverence in the church today? Is there anything you feel like isn’t given the gravity that it should? 2.We learn later, in Exodus 32, that the people became impatient and literally created and began worshiping another God while Moses was on the mountain, because he was gone longer than they expected. Does modern church culture act this way? 3.What would it have been like to be an Israelite during the days of the physical presence of the Lord on Mt. Sinai? 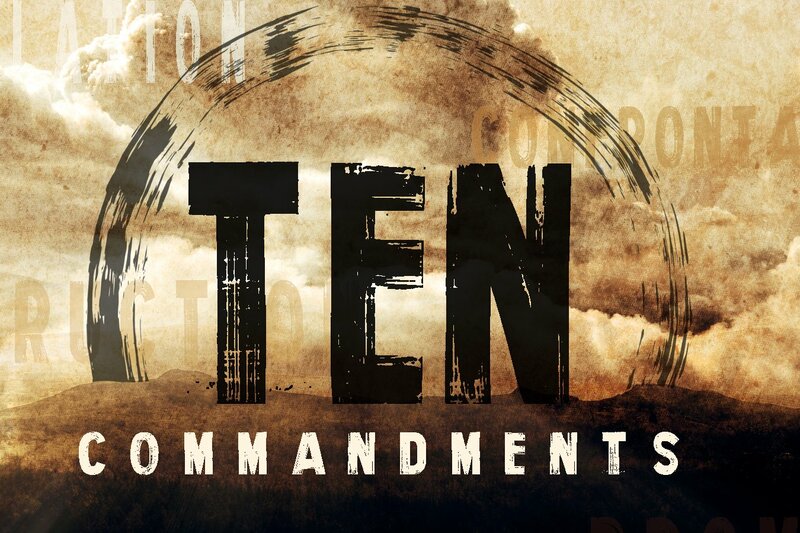 Pray for the coming weeks as we learn more about the ten commandments. Ask God for guidance in understanding the significance of his laws and why these were things important enough to command his people to live under. Each week, before the Sunday sermon, read through Exodus 20 and contemplate the commandment(s) that are being discussed. Ten Commandments: No Other Gods!